Self-publishing fiction is as easy as having a Word document and then uploading. Most publishing platforms automatically remove unwanted space and create flowing text, which is perfect for fiction. For poetry, however, space is a tool, and it can be very frustrating when all your formatting in Word is stripped away when you upload for publishing. It has been a while since I had to work on a poetry manuscript, and I’ll admit that I was becoming a little frustrated after my first couple of attempts at uploading to both Kindle and Draft2Digital (D2D). While Kindle preserved at least some of the Word formatting, Draft2 Digital stripped almost all of it away. I found this in D2d help, but it proved to be a hit and miss affair. Some formatting stuck on some poems, but not others. We detect blockquotes based on the margin (the distance from the right and left side of the page). You don’t need to use any particular margin, but to include a blockquote in your text, just make that block narrower than the main body text. We can also sometimes recognize poetry formatting, as long as you place it within a blockquote. If you have a poem or song in your body text, make sure it’s tabbed in further than the body text, and there’s a chance we’ll catch it. I decided to do some digging around for articles and suggestions about formatting for poetry but most of the advice I found involved editing .html and .css. For those new to self-publishing, these are skills that are usually very difficult to master quickly. 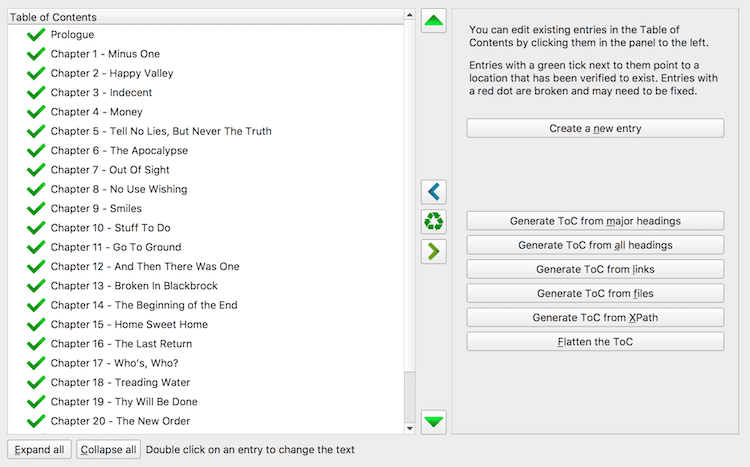 In the end, I found that the easiest, quickest and most flexible means of formatting a manuscript for poetry was to use two free software tools. One for Kindle and one for Draft2Digital. First, make sure that your Word document is formatted exactly as you want, and ensure that it is saved in .docx format. Then you need to download Kindle Create from Amazon, which is available for free for both Windows and Mac. To give you a quick start, here is a short video outlining what you can do. The only slight annoyance with Kindle Create is that you need to apply any formatting changes on a chapter by chapter basis. There are a few global templates, but making other changes to your fonts, paragraphs, spacing and alike cannot be changed globally. However, it didn’t take me long to format the ebook I was working on, and the result was perfect. You can edit almost anything. I added tabs, fixed a few typos, added space here and there and changed fonts. It really is an easy to use ebook editor for those without the technical knowledge to delve in .html. Even if you are publishing fiction, self-help, non-fiction or textbooks, Kindle Create can be a useful tool. The end result for me after uploading via KDP was a perfectly formatted poetry ebook. The image below is from the Kindle app after publishing. It is not possible to take a screen grab from my Kindle, but it is the same. The formatting stays exactly as I designed no matter what font size is chosen by the reader. No matter what I tried, I could not get D2D to recognise line space after a paragraph. This is, of course, an essential element for formatting poetry. I used all the tricks I know in Word, but nothing worked 100%. 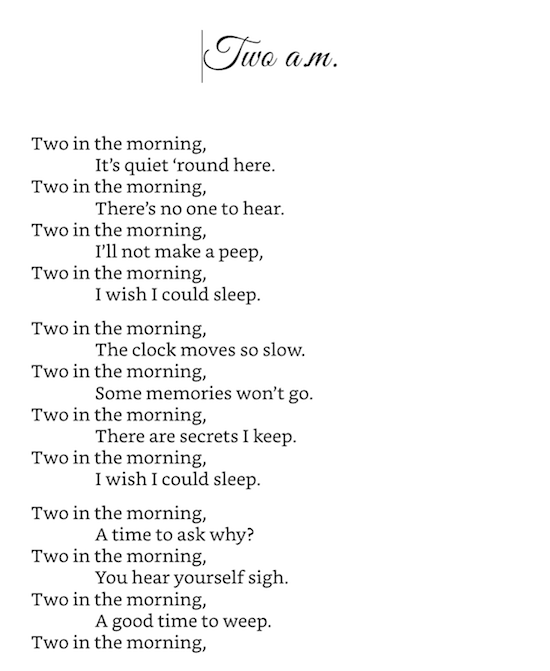 D2D recognised some poems that were wrapped in a blockquote with a changed margin, but totally missed others. And then when I uploaded again, I would get a completely different result. It was time for a better solution. If you are not using Calibre, you should. It’s one of the best ebook editing tools for authors and it’s free. Again, I had my ebook manuscript correctly formatted in Word and saved in .docx. Calibre will respect all your formatting in Word, and replicate it exactly in .epub. Very important! Make absolutely sure that all the chapter headings are “Heading 2” in your Word document because these are needed to create a table of contents. Uploaded the file to Calibre, then clicked on metadata to add the book cover. The next step is how you create a table of contents for an .epub file. This is a necessity for Draft2Digital, or anywhere else you plan to publish in .epub. 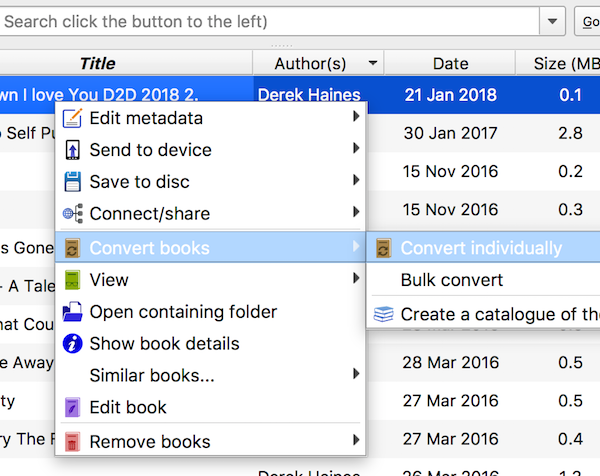 Right-click on your book, and select Convert – Convert Individually. The screen that opens is where you can adjust settings for your .epub file. Click on Table of Contents, and then make sure that Autogenerate Table of Contents is ticked, and you have selected .epub as the output format. Most importantly, make sure you have ticked “Manually fine-tune ToC after conversion”. Click Ok, and your ebook will start converting. Once finished, this screen will pop up. This is where you can edit your table of contents. Once you have made any edits, your ebook is now ready in .epub format to upload to Draft2Digital and all your formatting will be perfect. Even if you are not publishing poetry, these two tools can be used to give your ebooks a touch of class. While Kindle Create is very easy to use, Calibre can take a little while to learn. But your time will be well invested. The most important use for these tools is to give your reader the best possible reading experience. So anything you can do to achieve this aim is well worth the effort. Is Writing Non-Fiction More Profitable Than Fiction? Thanks for the helpful article! I am doing a book of poems and essays and wondered if using more than one font is good? I know the reader can change them but I would rather they start off set apart by font types. If so what fonts do you suggest? Hi Sherry. It’s best to stay with one font. As you say, readers can change fonts, so adding extra will serve no purpose. But at least with using Kindle Create, you can change some title fonts that use .html, which will stick. This is a real find for me! I have 2 complete manuscripts in word. I use my own drawings in the book. A drawing along with a poem follows each chapter. Yes, you can do basic editing. I have a question about it. The old problem with putting poetry on kindle was that readers can resize the text in many ways, which alters the poetry’s formatting often in ways that do not match the poet’s intention. One could only solve that by knowing html or css or other coding. With ordinary prose books, the fact that Kindle readers can resize text is not a problem, since prose books often have very simple formatting. Question, does Kindle Create somehow get around that poetry problem? You don’t seem to discuss that issue. Hello Edward. In my experience, resizing doesn’t affect the text on a Kindle. It stays as formatted. But you are right. I should update this article with more information. Will do soon. Funnily enough I included a fairly large portion of verse text in my “live test” publication. Not due to an intention to publish poetry in future, but because I knew it was difficult to get right in an ebook and something most people attempting it struggled with. Since I wanted to do all the hardest things first, it was pretty much required. It is a bit fiddly, I’ll grant that, but with the right setup (which is neither Calibre nor Kindle specific editors) and a little trial and error, it’s quite achievable. That said, the Kindle solution will almost certainly only be available for the Kindle Fire devices. That being the case, the reason it always works regardless of font is because the KF8 format is all fixed layout and not fully reflowable like EPUB. What you won’t see, however, is properly formatted poetry in Mobipocket ebooks. Mainly because the specs of that format can’t handle most of it. It could fake some of it, but mainly by deception (since it can’t do justified paragraphs even if the author wants them). In my case I use an XML format for single source publishing which includes a specialised XML dialect designed specifically to address the needs of traditional publishing. It includes elements for verses, stanzas and assorted other things. So I just used that and when the EPUB was generated it used the relevant, corresponding XHTML5 (i.e. HTML5+XML) elements to produce the same output with any font I want. Derek, if you want to see it, email me and I’ll send a copy through so you can compare to what you did. Even though my processes have improved since the last revision of that little tome, I’m still willing to bet this method can equal or beat any alternative method of doing it. One of these days I’ll get around to doing the second edition and demonstrate that it’ll do print as well as EPUB from the same source verses. Though I’d be somewhat kind and include greater details of the production method(s) and tools at the end of the book (even the existing edition had some detail on how it was produced). I was searching how to convert DOC to MOBI and came across your site. Formatting poetry attract my attention. I was frustrated to upload my poetry Doc to Kindle because all the spacing and pages are messed up. I had no choice by used Kindle Create. At least right now my book is in decent format considering I inserted 25 photos to illustrate the poems. I downloaded to my Kindle. After I made some revision and wanted to download to current version, Amazon didn’t let me. I guess I could delete my previous copy and download a new one. Anyway, now I want to have a MOBI version. The KDP site says my file can’t be downloaded. I called and was told that because I use Kindle Create, If I upload the Word Doc, my Kindle book can be download as MOBI. I attempt to work on my Word Doc to upload but am back to square one. Last night I downloaded the Calibre and just started learning how to use it. I tried to add a book, but it doesn’t work. Anyway, I’ll read your article tomorrow. My ultimate goal is to have a MOBI file so that I could send it through email as a prize or a gift. Make sure you use .docx files and not .doc. Then Calibre will work for you. This article is exactly the information I need. I have some poems that i have decided to go ahead and publish through Amazon and D2D. The way you have brought all these techniques and info together in one easy-to-follow article is so helpful. I can’ thank you enough.